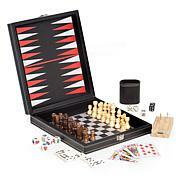 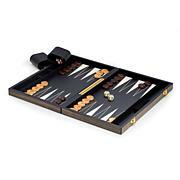 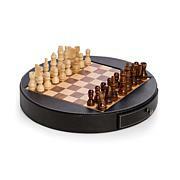 This beautiful game board inlaid in birch and olive wood comes with a rich stained ebony trim. 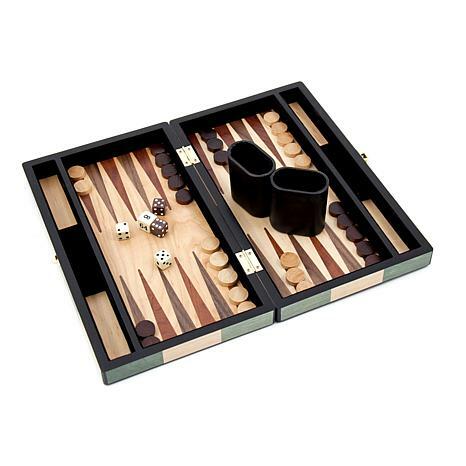 The wood game pieces are stained to match the game board that features a handy side storage compartment for the pieces. 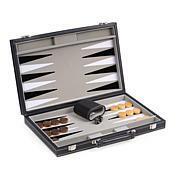 Looks like it's time to double.